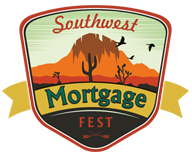 Welcome to The New Mexico Association of Mortgage Professionals NMAMP Website! Become a Member — Join Us. Become a member and recieve all the benefits of membership. REGISTER FOR SPONSORSHIPS AND TEAMS HERE! Powered by WordPress and WordPress Theme created with Artisteer by Daryl Custer.